La Plata County Clerk and Recorder Tiffany Parker goes through a stack of petitions turned in to her office on March 30 seeking to recall La Plata County Commissioner Gwen Lachelt. Petitions were dropped off by Dave Peters, center, and Ty Hawkins, right. Wednesday at 4 p.m. is the deadline for organizers of the effort to recall La Plata County Commissioner Gwen Lachelt to turn in the additional 2,031 valid signatures, of the 7,505 needed, to bring the issue to a vote. But some, including Lachelt, are asking why the signatures — fewer than the required number — submitted on March 30 were validated in the first place? Isn’t a deadline a deadline? The petitioners fell short of the required number of signatures. Shouldn’t the issue have been over then? We asked the same questions and believe several statutes governing recall elections should be changed. In speaking with Tiffany Parker, La Plata County Clerk, and Ben Schler, Legal and Policy Manager with the election division, at the Secretary of State’s office, here’s what we learned. Article 21 of the Colorado Constitution approved in 1912 allows for the recall of public officials. According to Colorado Revised Statutes § 1-12-108(8)(c)(I), Parker was required by law, with no more than fifteen business days after the initial petition filing, to notify the recall committee and the incumbent of the number of valid signatures received and whether the petition appeared to be sufficient or insufficient. 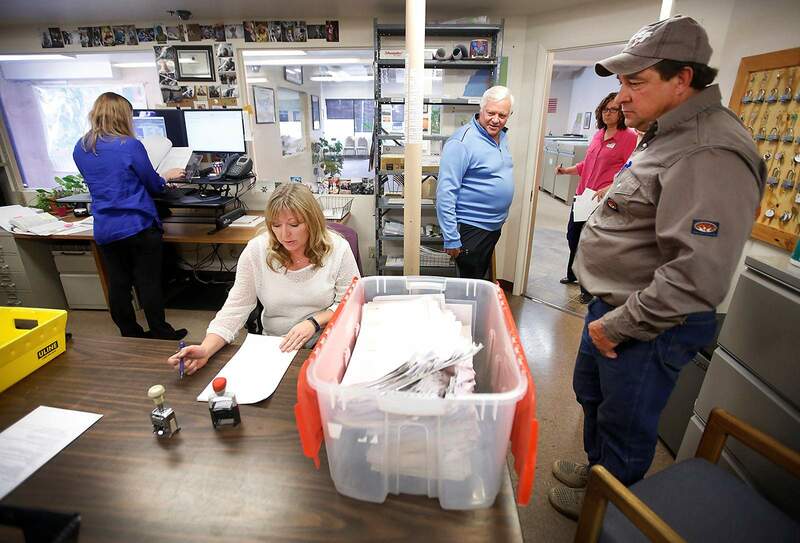 Parker and her 9-member team — that included city of Durango clerk Amy Phillips and some members of her staff — gave a yeoman’s effort and counted every single signature even though the total number of signatures turned in fell short. They did so because of a second statute — C.R.S. § 1-12-108(8)(c)(II.5). This statute affords petitioners 15 more days to collect additional signatures or cure those found faulty — missing information, duplicate signatures (Parker found 96) and incorrect addresses are the most common errors — and effectively extended the deadline to collect signatures from 60 to 75 days. We believe these provisions should be changed, if not eliminated altogether. The issue is bigger than Lachelt’s recall. It is about having the questionable logic of being given a second chance after clearly missing a goal and a significant deadline. It is also about wasting staff time validating an insufficient number of signatures. On April 17, Parker’s team validated 5,475 of 6,485 signatures. Parker always counsels petitioners to seek an additional 15 percent (the typical rejection rate) than required, or 8,630. The burden, rightly, is on the petitioners to meet or exceed the threshold (25 percent of the entire vote cast at that election). Doing so eliminates the need for an additional 15 days to cure invalid signatures. Members of the Colorado County Clerks Association, and clerks in the counties like Custer and Pueblo county that have gone through the recall process, would like to see these changes. Parker would, as well. For now, she is guided by current statute, and took an oath to uphold the law, even if she doesn’t agree with it, and is doing just that. If on Wednesday the petition is deemed sufficient and there is a protest period, Parker will not serve as the protest officer. The county will bring in a third party to review staff’s work, and that of the five attorneys with whom she is consulting at the county and state level. We look forward to learning Wednesday’s outcome and to seeing changes to the recall statutes in the future.